Commanding Officer of the Coalition in the liberation of Kuwait, Stormin’ Norman will be an essential piece of your Desert Storm collection. 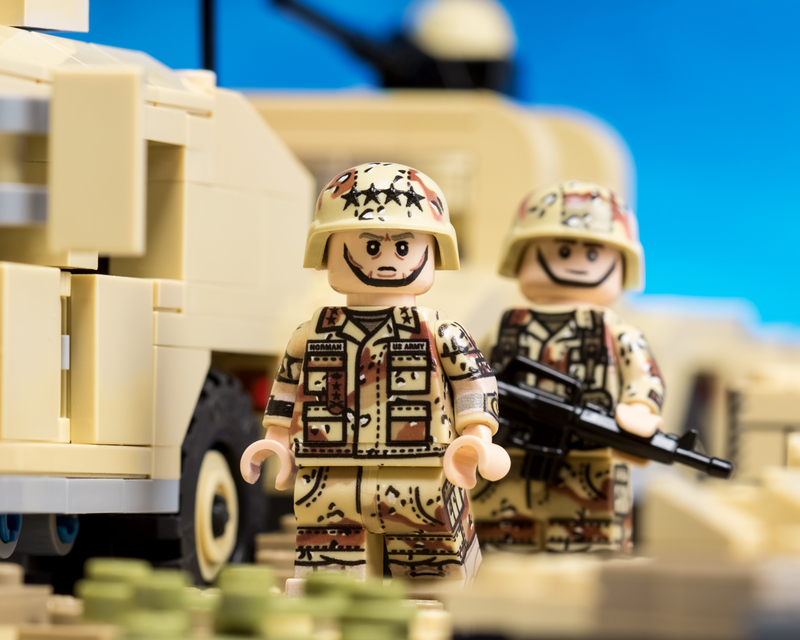 This Brickmania™ exclusive minifigure features artwork based on the Desert Battle Dress Uniform (with 6-color “chocolate chip” camo), Wellco® ND914 Desert Boot, Seiko® 7548 “Pepsi®” Diving Watch, and two-tone (steel and gold) Rolex® Day-Date. This minifigure also features a BrickArms® Modern Combat Helmet (MCH) with textured 4-star insignia and matching camo. This Stormin' Norman features exclusive custom-printed artwork designed by Lando!